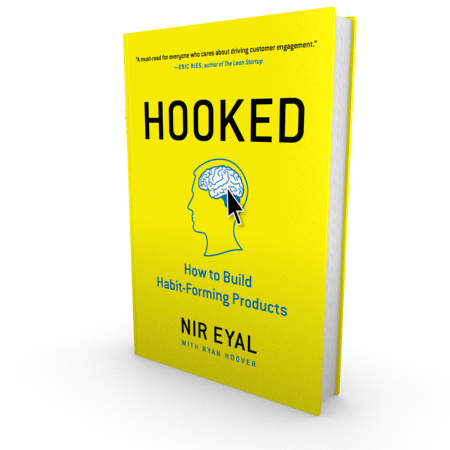 I was lucky enough to receive a copy of Nir Eyal’s book called “Hooked: How to Build Habit-Forming Products“. As I have a strong interests in startups and everything it’s related to product creation, you can image how curious I was to read this book ASAP. A few months ago I was wondering WHY video games are so addictive and make my son wasting so much time in front of his computer. OK, some games have a great story, great characters and wonderful graphic design. But are these the only reasons? To find an answer to this question I decide to join a class from associate professor Kevin Werbach at University of Pennsylvania, under Coursera. The course was called “Gamification“. Just in case this term is new for you, let me tell what define. Gamification is the application of game elements and digital game design techniques to non-game problems, such as business and social impact challenges. Companies use game thinking for employee motivation in human resources, team building, productivity enhancement, training, health and wellness, sustainability, and innovation. Marketers gamify their programs to engage customers. Organizations apply gamification to motivate crowdsourcing participants. Governments, non-profits, and educational institutions are also applying these techniques. To understand gamification you need first to understand HOW (video) games are working, game thinking and game elements, or game psychology and motivation. If you believe a game has a success only because of the story, characters and design you make a BIG mistake – everything on a game (and I mean EVERYTHING) is precisely calculated on each step and combine several elements. Those games who commercially fails are missing one or more steps. If you want to have a smashing success in video industry (or even product creation!) do your homework, keep out guesses and left nothing to chance or luck! Want more? Read this article – 5 Creepy Ways Video Games Are Trying to Get You Addicted. So yes, there is no “magic” in product creation. As we live in a commercial era, consumers even do not realized they are “hooked“, I would dare to say, in a daily fashion. Don’t believe me? Let’s do a test: start your computer and perform a search for something. 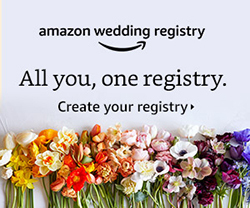 I bet you’ll use Google! Now, type the name of a well-known consumer web company into your search bar and add the word “addict” after it. Don’t be shy, go ahead and type it… I’ll wait. Try “Facebook addict” or “Twitter addict” or “Instagram addict” and you’ll soon get a slew of results from hooked users and observers deriding the narcotic-like properties of these web sites. And I’m wondering: how is it possible that such companies (which product nothing more than bits of code displayed on a screen) can control users’ minds? Why are these businesses so addictive and what does their power mean for the future of the Internet? According to Nir Eyal, we’re step on a new era on the web. As infinite distractions compete for our attention, companies are learning to master new tactics to stay relevant in users’ minds and lives. Just because your business have millions of users is no longer good enough. Companies increasingly find that their economic value is a function of the strength of the habits they create. But as some companies are just waking up to this reality, others are already cashing in – big time! I hope I do not speak klingonian here… in a world of globalization, either we knew or not, we have to admit that we are hooked by technology. The products and services we use daily alter our behavior, just as their designers intended. Take you hand off the mouse and think: how did you get on this post? What did you do? Are you in front of your computer or read on your smart phone? Do you perform such actions on a daily basis? Now let’s try to decipher the psychology behind hooked products. 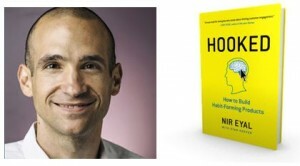 And I’ll use ideas from “Hooked: How to Build Habit-Forming Products” by Nir Eyal. Nir is a very smart guy from Silicon Valley. In 2008 he was part of a team of Stanford MBAs starting a company with mission to build a platform for placing advertising into the booming world of online social games (did you see the connection here?). Companies were making hundreds of millions of dollars selling virtual cows on digital farms while advertisers were spending huge sums of money to influence people to buy whatever they were peddling. And most important: could the same forces that made these experiences so compelling also be used to build products to improve people’s lives? In 2011 he began working as a consultant to a host of Silicon Valley companies, from small start-ups to Fortune 500 enterprises. Nir began blogging about hooked products on NirAndFar.com. In the fall of 2012, with Dr. Baba Shiv he designed and taught a class at the Stanford Graduate School of Business on the science of influencing human behavior. The next year, he partnered with Dr. Steph Habif to teach a similar course at the Hasso Plattner Institute of Design. A small or big company that forms user habits enjoys several benefits. This type of company creates associations with “internal triggers” in users’ minds. Users come to the site without any external prompting. Instead of relying on expensive marketing budgets, habit-forming companies get users to take action by attaching their services to the users’ daily routines and emotions. Do you know how companies create form habits? The answer is simple: they manufacture desire! Companies manufacture desire by guiding users through a series of experiences designed to create habits. Nir call these experiences “Hooks“, and the more often users run through them, the more likely they are to self-trigger. Hooks are everywhere, hooks surround us – in apps, sports, movies, games, and even our jobs (yeah, pretty nasty, right?). Hooks can be found in virtually any experience that burrows into our minds (and often wallets). Nir spot a four-phase process companies use to forms habits. The trigger is the activator of a certain behavior – it’s like the spark plug for a car engine. It can be external or internal triggers. Habit-forming technologies start by alerting users with external triggers like an email, a link on or to a web site, or the app icon on your phone. By cycling continuously through successive desire engines, users begin to form associations with internal triggers, which become attached to existing behaviors and emotions. Pretty soon users are internally triggered every time they feel a certain way. The internal trigger becomes part of their routine behavior and the habit is formed! Let’s suppose Doreen, a young lady in Michigan, happens to see a photo in her Facebook newsfeed taken by a family member from a rural part of the state. It’s a nice photo and since she’s planning a trip there with her brother Ben, the trigger intrigues her. On this phase, companies leverage two aspects of human behavior – motivation and ability to react at motivation. To increase the odds of a user taking the intended action, companies makes the action as easy as possible, while simultaneously boosting the user’s motivation. This phase of the hook draws upon the art and science of usability design to ensure that the user acts the way companies intends. Using the example of Doreen, with a click on the interesting picture in her newsfeed she’s taken to a website she’s never been to before called Pinterest. Once she’s done the intended action (in this case, clicking on the photo), she’s impressed by what she sees next. 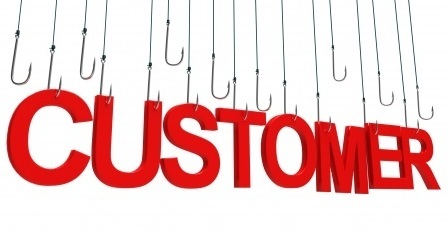 What separates hooks from a feedback loop is their ability to create wanting in the user. Feedback loops are all around us, but predictable ones don’t create desire. The predictable response of your fridge light turning on when you open the door doesn’t drive you to keep opening it again and again. However, add some variability to the mix – say a different treat magically appears in your fridge every time you open it – and voila, intrigue is created. You’ll be opening that door like a lab animal in a Skinner box. Scheduling variable rewards is one of the most powerful tools that companies use to hook users. Research shows that levels of dopamine surge when the brain is expecting a reward. Introducing variability multiplies the effect, creating a frenzied hunting state, activating the parts associated with wanting and desire. Although classic examples include slot machines and lotteries, variable rewards are prevalent in habit-forming technologies as well. Coming back to our example, when Doreen lands on Pinterest, not only does she see the image she intended to find, but she’s also served a multitude of other option. The images are associated with what she’s generally interested in – namely things to see during a trip to rural Michigan – but there are some others that catch her eye also. The juxtaposition of relevant and irrelevant, tantalizing and plain, beautiful and common sets her brain’s dopamine system aflutter with the promise of reward. Now she’s spending more time on this site, hunting for the next wonderful thing to find. And before she knows it, she’s spent 45 minutes scrolling in search of her next hit. The last phase is where the user is asked to do bit of work. This phase has two goals. The first is to increase the odds that the user will make another pass through the hook when presented with the next trigger. Second, now that the user’s brain is swimming in dopamine from the anticipation of reward in the previous phase, it’s time to pay some bills. The investment generally comes in the form of asking the user to give some combination of time, data, effort, social capital or money. Unlike a sales funnel, which has a set endpoint, the investment phase isn’t about consumers opening up their wallets and moving on with their day. The investment implies an action that improves the service for the next go-around. Inviting friends, stating preferences, building virtual assets, and learning to use new features are all commitments that improve the service for the user. These investments can be leveraged to make the trigger more engaging, the action easier, and the reward more exciting with every pass through the hook. As Doreen enjoys endlessly scrolling the Pinterest, she builds a desire to keep the things that delight her. By collecting items, she’ll be giving the site data about her preferences. Soon she will follow, pin, re-pin, and make other investments, which serve to increase her ties to the site and prime her for future loops through the hook. Witnessing the Birth Of A Superpower? As companies combine their increased connectivity to consumers, with the ability to collect, mine, and process customer data at faster speeds, we are faced with a future where everything becomes potentially more habit forming. Habit forming design is indeed a superpower. If used for good, habits can enhance people’s lives with entertaining and even healthful routines. If used to exploit, habits can turn into wasteful addictions. But, like it or not, habit-forming technology is already here. The fact that we have greater access to the Internet through our various devices also gives companies greater access to us. As companies combine this greater access with the ability to collect and process our data at higher speeds than ever before, we’re faced with a future where everything becomes more addictive. This trinity of access, data, and speed creates new opportunities for habit-forming technologies to hook users. Companies need to know how to harness the power of hooks to improve peoples’ lives, while consumers need to understand the mechanics of behavior engineering to protect themselves from unwanted manipulation. Big companies like Google, Facebook, Twitter, retailers, and thousands of application developers are now positioned to keep users engaged on their websites and program behaviors. This is what digital marketing has become. It’s all about interactive operant conditioning designed to program behaviors not just to sell you something, but to keep you hooked for the purpose of lifetime customer value monetization. What do you think? Hooks are all around us. Where do you see them manufacturing desire in your life? The degree to which a company can utilize habit-forming technologies will increasingly decide which products and services succeed or fail. Habit-forming technology creates associations with “internal triggers” which cue users without the need for marketing, messaging or other external stimuli. 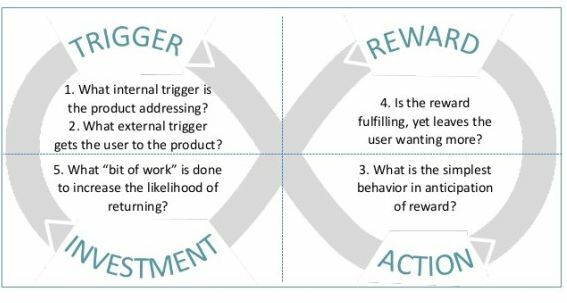 Creating associations with internal triggers comes from building the four components of a hook – a trigger, action, variable reward, and investment. Consumers must understand how habit-forming technology works to prevent unwanted manipulation while still enjoying the benefits of these innovations. Companies must understand the mechanics of habit-formation to increase engagement with their products and services and ultimately help users create beneficial routines. Now that you have an understanding of the Hook Model and have reflected on the morality of influencing user behavior, it is time to get to work. Running your idea through the four phases of the model will help you discover potential weaknesses in your product’s habit-forming potential. Does your users’ internal trigger frequently prompt them to action? Is your external trigger cueing them when they are most likely to act? Is your design simple enough to make taking the action easy? Does the reward satisfy your users’ need while leaving them wanting more? Do your users invest a bit of work in the product, storing value to improve the experience with use and loading the next trigger? By identifying where your technology is lacking, you can focus on developing improvements to your product where it matters most. The effectiveness of these behavioral modification techniques are in plain sight – families ignoring one another while checking the email and Facebook at dinner, drivers texting in heavy traffic, and 14-year-old girls sending hundreds of text messages a day. That’s the dark side we have to keep out! It is up to us to choose… we always have the option to choose wisely. Do it now!